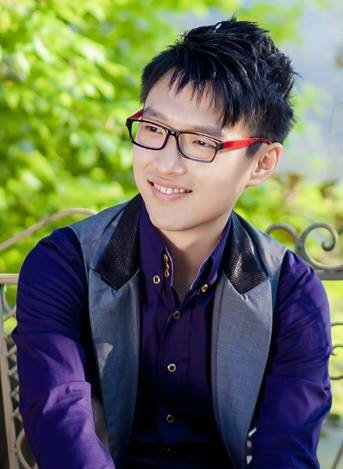 From A Desk Job To Entrepreneurship, Reginald Chan Shows You How! →From A Desk Job To Entrepreneurship, Reginald Chan Shows You How! The blogger today is someone whose works I have read. He’s been into this activity even before me. He has a lot to offer so it’s good to have him featured on my blog today. Being the 3rd featured blogger of 2015, I’m glad to mention here this series will continue. I have no intentions whatsoever to put an end to it. I have had several of them featured here so if this is your first time reading this series, check out here for top bloggers I have featured in the past. I don’t mean to just tell you about people. What I’m trying to do is get you hooked up with as many awesome bloggers as possible. You know as well as I do that blogging can be a pain if you are alone. So the more bloggers you can interact with, the easier it is for you to excel. So take this opportunity and meet exceptional bloggers. Reginald is a serial entrepreneur, marketer and consultant from the small country of Malaysia. No, he is not from China (if you are wondering). During his childhood time, he had absolutely no idea that entrepreneurship would be his ‘thing’. He aims high and his motivational quote is, “Nothing is impossible”. He had numerous awards under his belt such as being mentioned by Harvard University, Yahoo Small Business and in the Top 100 Bloggers by Triberr in 2013/2014. His latest award was being in the top 65 influencers in social media 2014/15 by Klout. He loves WordPress and he has been creating multiple websites for himself and even for sales. Yes, you may just see him nearly every where! He currently manages two major projects, WP Chronicles (WordPress related news) and Ask Reginald. AskReginald.com is the latest project he had under his belt and it is also a collaboration between several influencers. Currently, it is still in ‘beta mode’ and you can sign up to be included in the wait list. If you are an entrepreneur, blogger or just want to make it in the new world, that’s probably one resources you should not overlook. What does Reginald actually do? He loves to call himself an all rounder. Yes, his working experience involves sales, marketing, consultancy and brand awareness. Prior to his online ventures, he was working with several international brands for those related fields which lasted for a few years until today. His online venture started from a blog hosted on BlogSpot which soon, evolved into a serious business that generates more income for him than he received from his day job! In the online industry, Reginald is known to become the test dummy in online marketing and SEO strategies. The thing that brought him to fame is that he was genuinely helping instead of finding excuses to make more money. For Reginald, nothing is ever enough! The sky is the limit and this is very true for him. He is never satisfied of his accomplishments and he is always looking for more opportunities to grow (in both career and income). For many, earning a passive income of $500 to $1,000 a month was enough, he wanted more than that – and that’s not greed. He wanted to push himself to the limit and ultimately, making the dreams of living an Internet lifestyle. As a blogger, he worked hard to ensure that he is growing traffic and building a community who will look up at him. As a consultant, he focused in building trust and making each business consultation a partnership. As an entrepreneur, he is determined to be featured on Forbes and Business Insider while achieving the status of top influencers in the world. Who does Reginald look up to? He has many influencers who he really looks up to. For example, Brian Clark from CopyBlogger Media for his never ending A/B testings and thinking out of the box; Pat Flynn from Smart Passive Income who shares his experience with honesty and integrity; Harleena Singh from Aha Now and Adrienne Smith for their community building skills. Currently, he is working with several influencers in terms of creating the ultimate “Question and Answer” site. The whole idea behind this is simply because he wanted to help bloggers and entrepreneurs in getting things done the right way. And this means that it involves all their marketing questions, mindset and even lifestyle methods. The core concept would be something no one has ever tested before and this could very well be the pioneer in the industry! I highly recommend you to support him by checking this out (and following his newsletter). How to connect and engage with Reginald? Facebook Page – Give him a Like! Facebook Profile – Follow him! I love to visit your blog and meet new people that you feature every Thursday (I also read other days too, LOL). Congratulations Reginald on your awards and recognition for your hard work. You are further proof that blogging does work if you set your mind to it. Keep up the good work and I will be connecting with you at other social sites. Thanks for commenting and hey, I’m super stoked to connect with you. Yes! We have just done it via Facebook and can’t wait to take it to the next level! Hi Enstine and thank you for featuring Reginald. Just when you think you know someone along comes a great interview that helps you know them even more. Reginald, you are creating so many helpful things for people. Your blog is wonderful, but what I didn’t know was your background and what you are doing for 2015! Fascinating stuff my friend. I have been pretty much on the ‘backstage’ in 2014 and this was because of my self-named blog when I started out sharing SEO tips back in ’13. That stuck me real hard and it took A LOT of planning down the road. Yes, I huge plans in 2015 and one is already on the way with my new site, AskReginald. Reginald is a born online marketer and his simple style to communicate the most complicated topics has become his brand identity. I love his weekend image sharing in most of which he shares his pics enjoying mouth-watering food of Indonesia. It does have a purpose, I know, to motivate others keep hard working to really enjoy their life like he does. His expertise in social media management is more than amazing and how he brings wonderful tips and tricks to fully exploit all types of social media is well known to all. Thanks a lot Enstine for sharing the post about this wonderful internet marketer. To be honest, I didn’t know that I have that skill until I make some serious money online. That was when the light bulb turned on and this was mainly because of my sales background (real life job few years back). So, putting it to use in the real world was really … a good move! More to come on this and keep you informed! I’ve known Reginald for a while now both from the work he’s done with WP Chronicles as well as the awesome comments he has left on my site. I had no idea that he was starting up another project so I’m looking forward to seeing how Ask Reginald turns out! He has definitely got the mindset necessary for success and I’ve enjoyed following his blogging journey so far. I’m excited to see his continued growth here in 2015, because I know if he keeps working hard he’ll achieve all of his entreprenurial goals. Thanks man and I really appreciate the words. I wasted pretty much a lot of time down the road and guess I need to work harder because I only live once! So yes, allow me to surprise you next month (hint hint). So good to see you featured here this time, and we just love the awesome people you get over each time, Enstine! I’ve known Reginald for a while now, and have just seen him progress, grow and develop to where he is today. I just marvel at his ability to handle so many blogs and social media accounts! Yes, we do look forward to his future projects, and knowing him, they are bound to be good ones. You know, I learn from you A LOT! I can’t imagine my life without your guidance. Your tutorials and genuine feeling to build a community always made me smile. Trust me, I’m still learning a lot from you and can’t wait to grow further with your help! I know Reginald and I have sometimes talked with him on Facebook. He is an awesome person. It is good to see that he is working so hard and now he has become an Entrepreneur. I’ll try to be in touch with him from now as I want to keep on learning new things. Enstine good to see you covering the story of Reginald. I too recently covered a motivating story of a blogger who has just established a StartUp. Thank you for your comment and can’t wait to connect further with you. I seen your growth for sometime now and keep it up ya! I just know Reginald a little bit personally because I have worked with him a bit and he is such an awesome guy in blogging and in business field too. Glad to see you here and thank you for commenting! Hope I can keep you entertained for a longggg time! Haha. Cheers man and have a great weekend! So thoughtful of you to recognize Reginald. I have known him for some time and I follwed his blog and does help people do great things. I am not surprised of his awards. He deserves to be praised for he is an inspiration in the blogging world. What a great write-up on Reginald. I really enjoy interacting with him and I love his wit and sense of humor. His personality always shines on his blog articles and comments. If only everyone was chasing that idea instead of money we would all be making more money. I commend him for his goals in 2015. It’s definitely a worthwhile pursuit. Excellent article, feeling motivated now after reading it. It’s my dream to become a successful entrepreneur and I think I can also gain such a great success just like chan if I work harder. Thanks Enstine for sharing such an awesome post. Great to learn more about Regi, Enstine! I had no idea he was featured with the Harvard connection or on the other sites. Well done! I’ve followed him from afar for many years – or close by when I was living in Malaysia lol – and the guy is serious about his craft. Super blog layout, great value over there and hey, he’s a great dude. Thanks for the inspired share guys! Today’s feature blogger really blow me out, I have known Reginald for sometime and think I know him too well,……but I was wrong. He is far too beyond what I know of him. I never knew he mentioned by Harvard University, Yahoo small business etc. Reginald, just keep doing what you know best and the sky might just be your beginning. am a big fan of your Featured Blogger section and love to connect with every blogger that you featured. With Reginald, am already connected. Great to meet you Reginald and Thank you for the introduction Enstine, to another wonderful blogger and entrepreneur. Prior to this featured spot on Enstine’s blog, I had not met you, so I am excited to click over to some of your sites as soon as finish this comment! “Harvard” and “Yahoo Small Business” and still moving forward with the values of helping others and not doing it just for the money! Love that!! Glad to get to know you Reginald! Thanks for giving so much detail info about Chan. Though this article my wrong concept is broken, I though he is from China. Really glad to heard that he is from Malaysia. I really loved his way of thinking “Sky is Limited”. Have a nice weekend. See you again. Great post here on Reginald. Just like a lot of bloggers, I can’t remember how him and I connected but you’re right, he’s absolutely everywhere. And I’m glad I’ve gotten to know him. He’s really an all around blogger and entrepreneur who’s serious about perfecting his craft. Here’s hoping he, yourself and every other blogger meets their goals for 2015. Congratulations Reginald for all the awards you got! I hope that this year, you will get more awards too. I have been following some articles from Social Media Rush and now I got to know of a WordPress resource as well. I am now reading some articles on WP Chronicles and learning things to make my blog better. Thanks Reginald for providing the best content and thanks to Enstine for this shout-out!